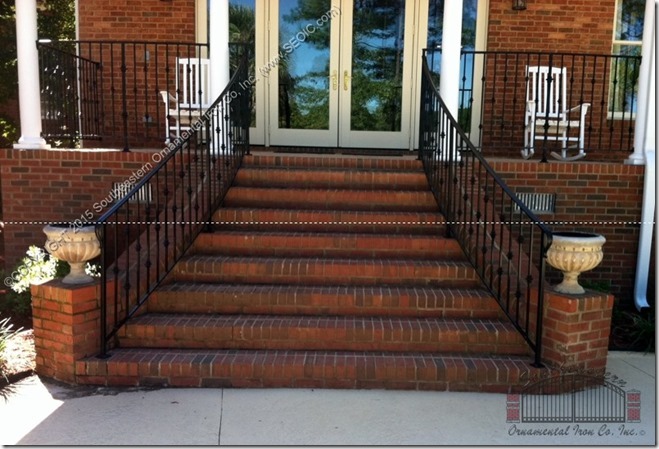 Southeastern Ornamental Iron Co built this radius step railing and shipped to customer. The customer followed our measuring guide and after a couple of requests for information the project went into fabrication. The design consists of and alternating collar design. The handcap is a molded cover rail wit lambs tongue ending. 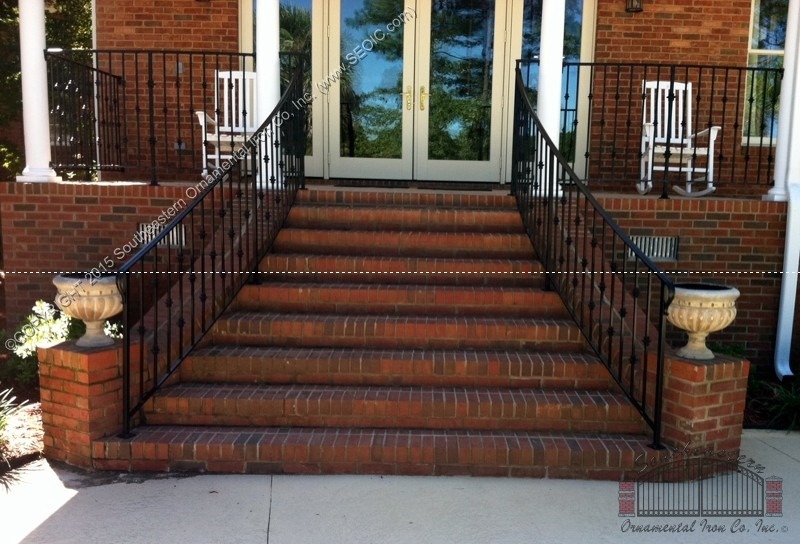 The finish is black powder coat.